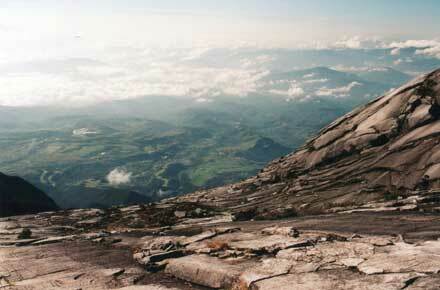 The massive granite precipices of 4,095m Mount Kinabalu rise clear of the steamy Sabah Jungle. This is one huge, awe-inspiring volcanic plug. 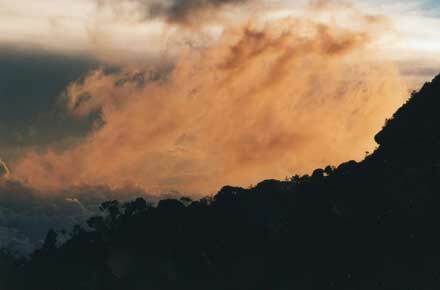 Ascend through beautiful cloud forest, emerging onto the smooth, steep rock of the upper slopes. 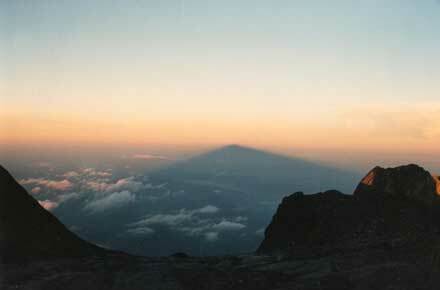 The next morning, see the mountain's shadow recede into eternity on the clouds below, and enjoy the silhouetted fantastical formations as the sun rises; peer into the upper reaches of the deadly Lows Gully. 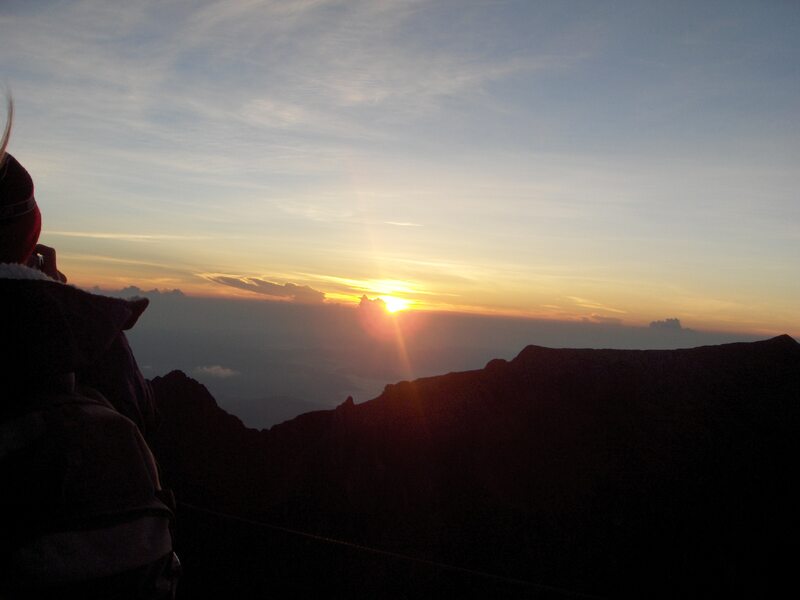 A tough climb, gaining some 2,500m in less than 24 hours: you will feel the altitude. Note: Neg:Altitude gained very quickly. 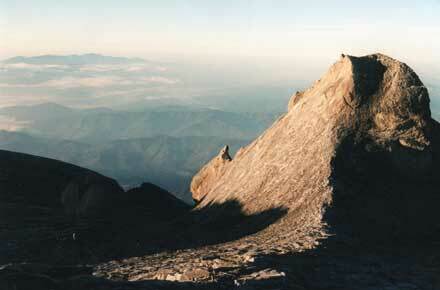 Mount Kinabalu stands, at 4,095 m, in magnificent isolation above the Borneo jungle. Its top is a vast platform, formed relatively recently from volcanic upheaval and still growing, from which jagged peaks and pinnacles soar. 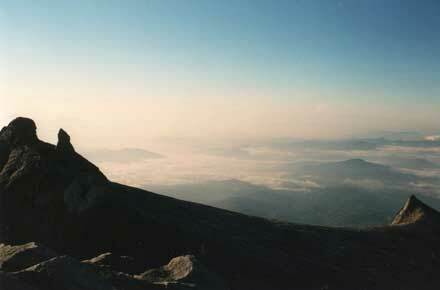 Its upper slopes consist of several thousand feet of smooth precipice. 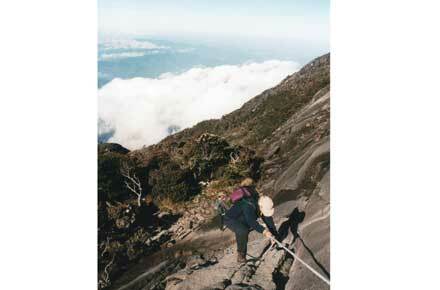 This is a steep, demanding walk with altitude gained more quickly than is advisable. 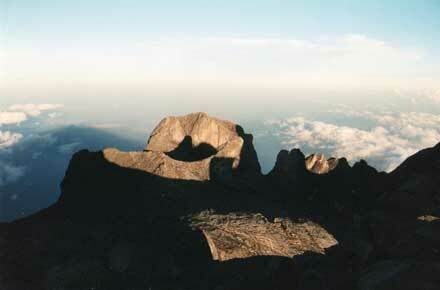 The top is cloud- girt for much of most days: it is a dangerous and gloomy place once enveloped. 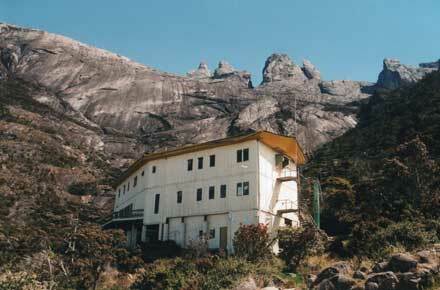 The climb starts at around 1,500m (5,130ft) above the National Park's pretty headquarters. The path winds, for the first kilometre, pleasantly around the hillside through thick forest and past the pretty Carson Waterfall, before turning onto the first staircase, which disappears ominously into the trees far above. From here it is several hours of dreary, painful slog to the Laban Rata hut, where a short night will be spent before the pre-dawn assault on the peak. The trail follows long ridges up through a succession of very different vegetation zones. 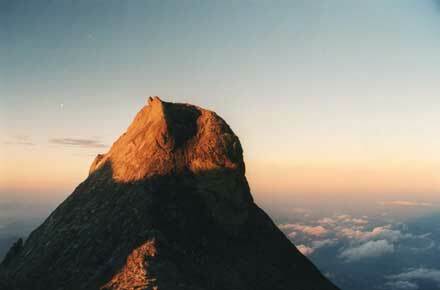 The mountain is a World Heritage Site, partly because of its magnificent botanical diversity. 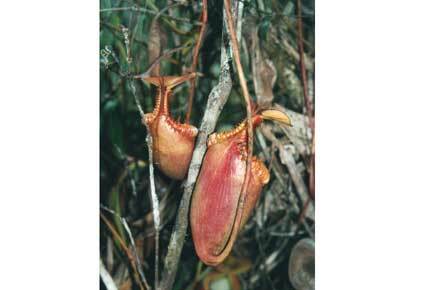 It is estimated to harbour up to 6,000 plant species, (including over 800 species of orchid, over 600 species of ferns, of which 50 are endemic) and has the world's richest selection of carnivorous pitcher plants. You will trudge through cloud forests of moss-covered trees, past pink-flowering rhododendrons, straight trunked, parasite-infested trees, ferns and azaleas. Gradually, the soil turns redder and shrub-heather takes over. 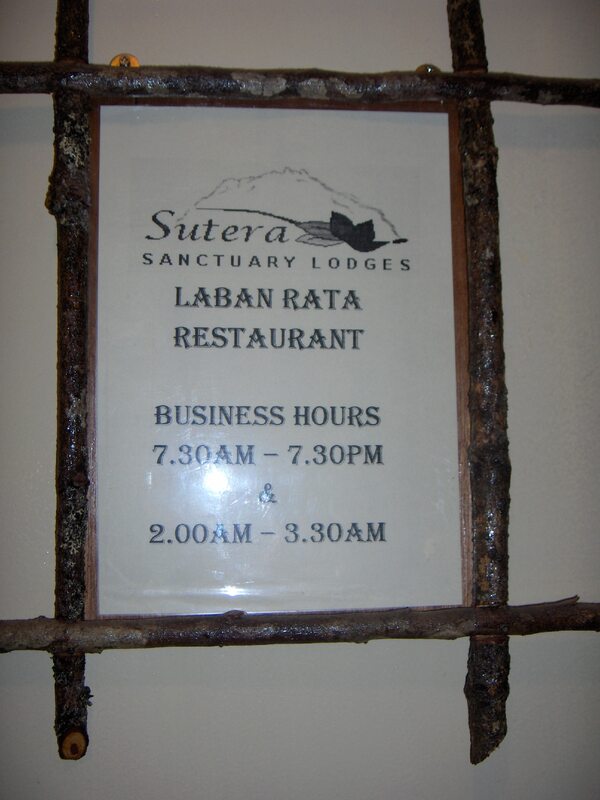 The Laban Rata hut is remarkably pleasant, considering it feeds and sleeps so many people and sits on an inaccessible ledge at 3,300m (just under 11,000 ft). 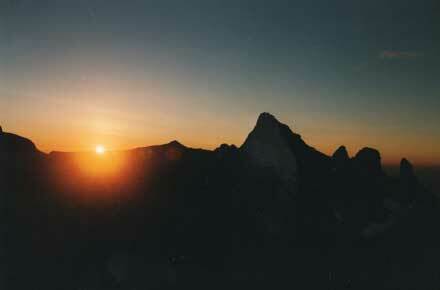 You will start early (2:30 a.m.) for the pre-dawn (and pre-cloud cover) assault on the peak. The 750 plus metres (2,500 ft.) up from the hut to the plateau at the top is fairly miserable, a very steep, tough slog, the altitude and yesterday's exertions making every step an effort. 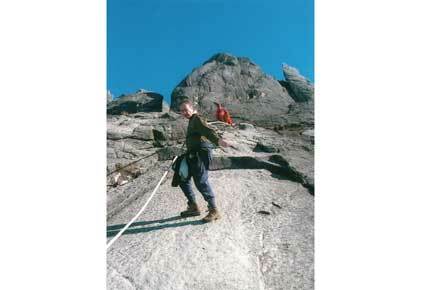 Some steep scrambles up ropes on near-vertical rock give a degree of light relief. Finally, though, you reach the great cracked dome, and things got a lot better. 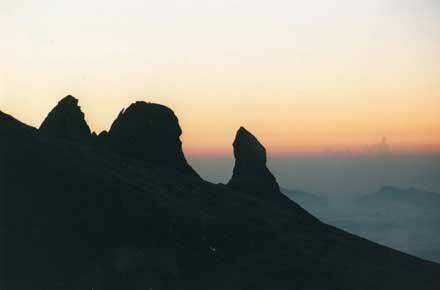 You will see great peaks and pinnacles silhouetted against the pre-dawn sky. The rim of the infamous Low's Gully is just below the final Low's Peak, a fearsome chasm dropping thousands of sheer feet into thick gloom. 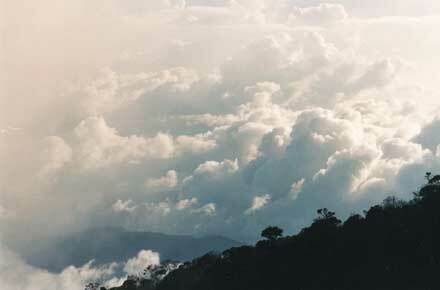 The western view from Low's Peak is miraculous: far below, the shadow of the mountain visibly retreats back towards you across the clouds as the sun comes up. All around are the sharp, eroded pinnacles of the lesser peaks, the misty lowlands slumbering far below. Despite all the pain, it is worth it. The descent, 2,500m (8,000 plus feet) to get down in one go, certainly isn't much fun, with screaming joints and agonised muscles by the end. 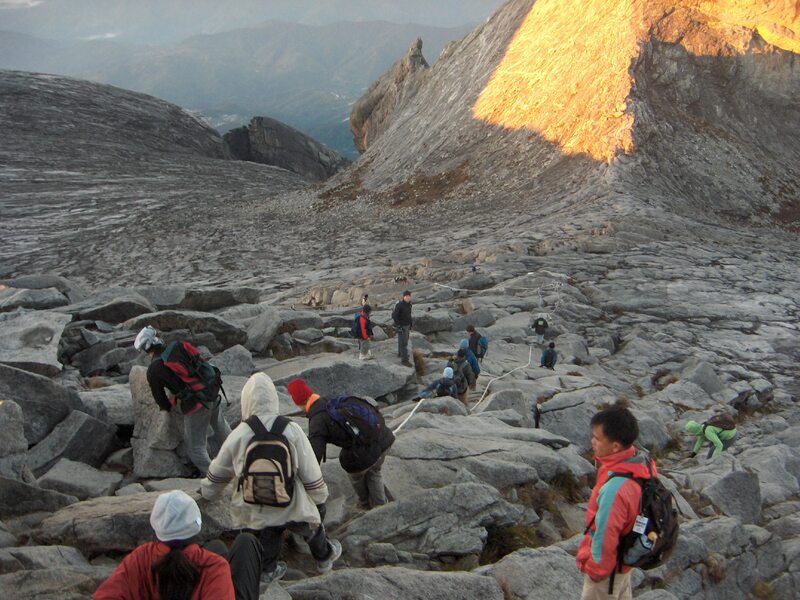 Mount Kinabalu is a young place, a huge, sheer dome of granite which forced its way up through the earth's surface a few million years ago. 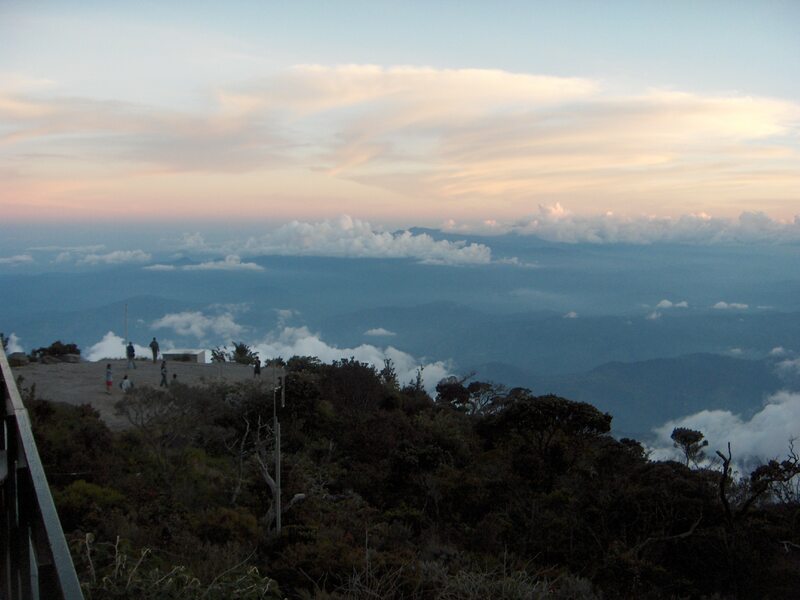 It now stands, at 13,500 ft. /4,095 m, in magnificent isolation above the noisily slumbering Borneo jungle. Its covering of softer rock has been torn away to form its lower slopes, leaving a vast platform from which jagged peaks and pinnacles soar. Its upper slopes consist of several thousand feet of smooth precipice.